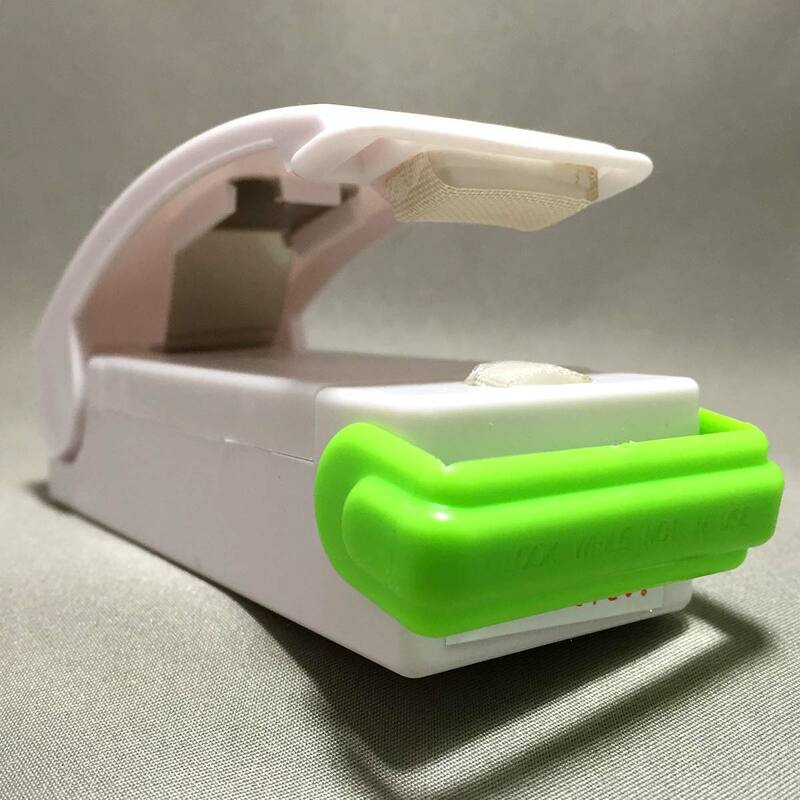 The Easy Sealer is portable and battery operated so you can use it anywhere. You can even use it for gift wrapping presents! 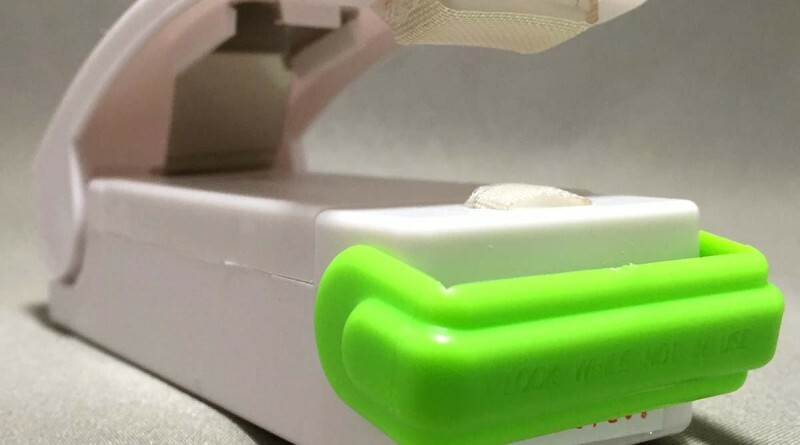 The sealer has a safety bar to cover the heating element (shown in green in the images below) to prevent injuries when not in use. – Uses 2 AA batteries, and batteries are not included. 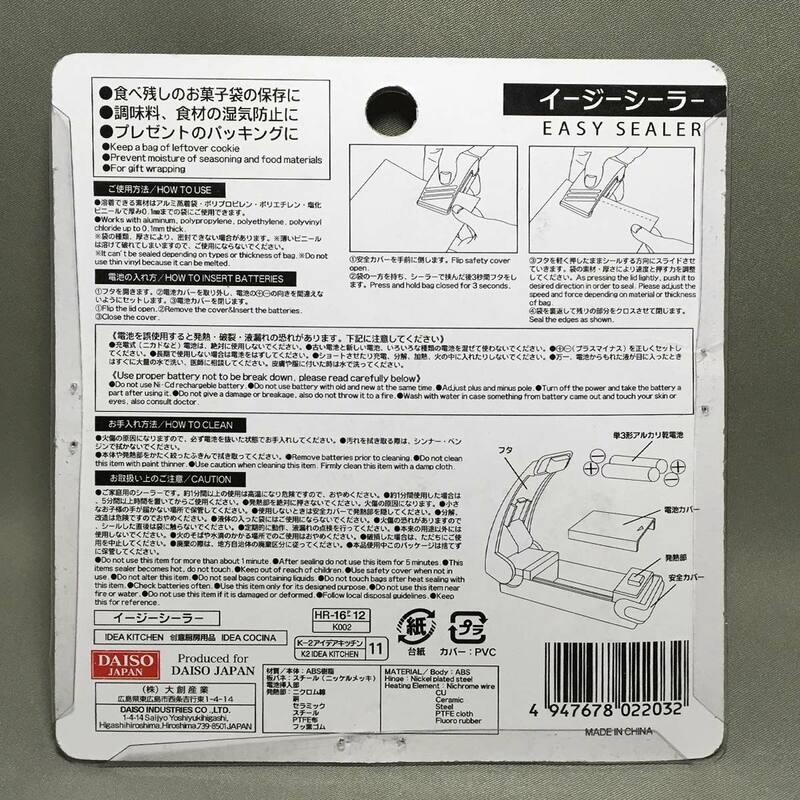 – Easy sealer can seal packaging made from aluminium, polypropylene, polyethylene, polyvinylchloride up to 0.1mm thick. 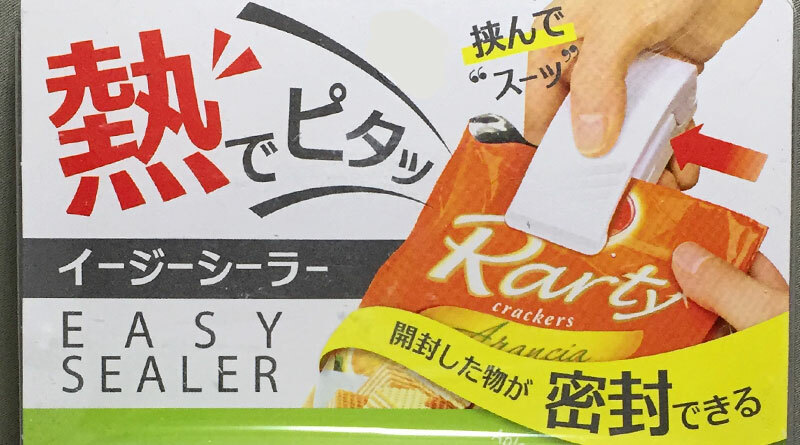 – Depending on thickness, some plastic packaging may not be resealable. – Avoid using on vinyl as vinyl may melt. 1. Flip open the top of the Easy Sealer. 2. 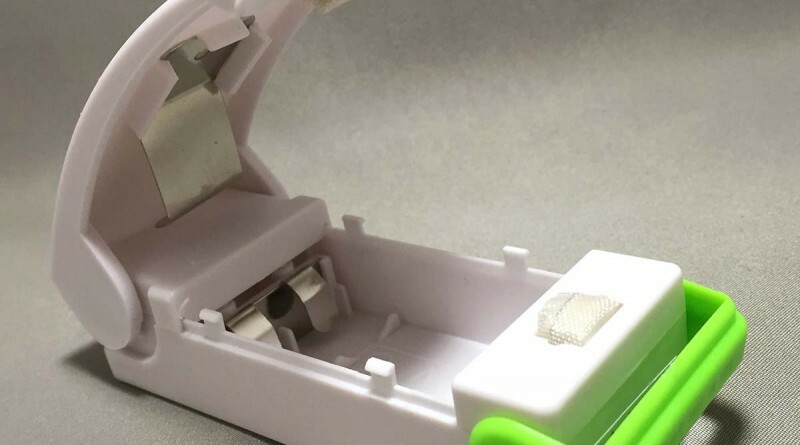 Remove the battery cover and insert the batteries with the “+” and “-” ends as illustrated inside the battery compartment. 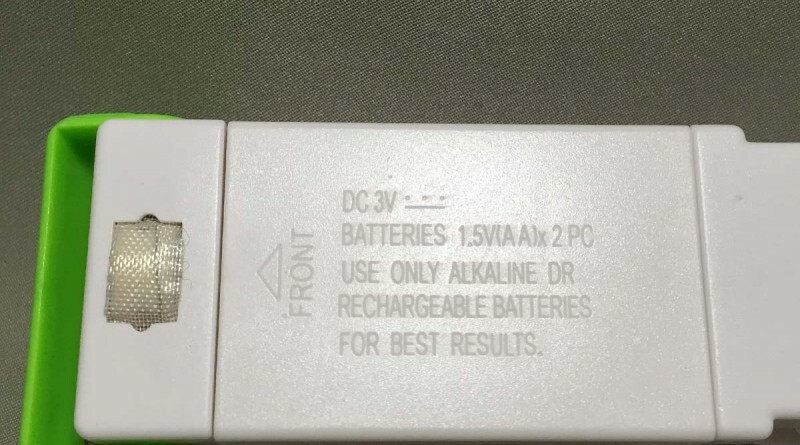 – Do not use Ni-Cd rechargeable batteries. – Do not mix old and new batteries, or mix different types of brands of batteries. 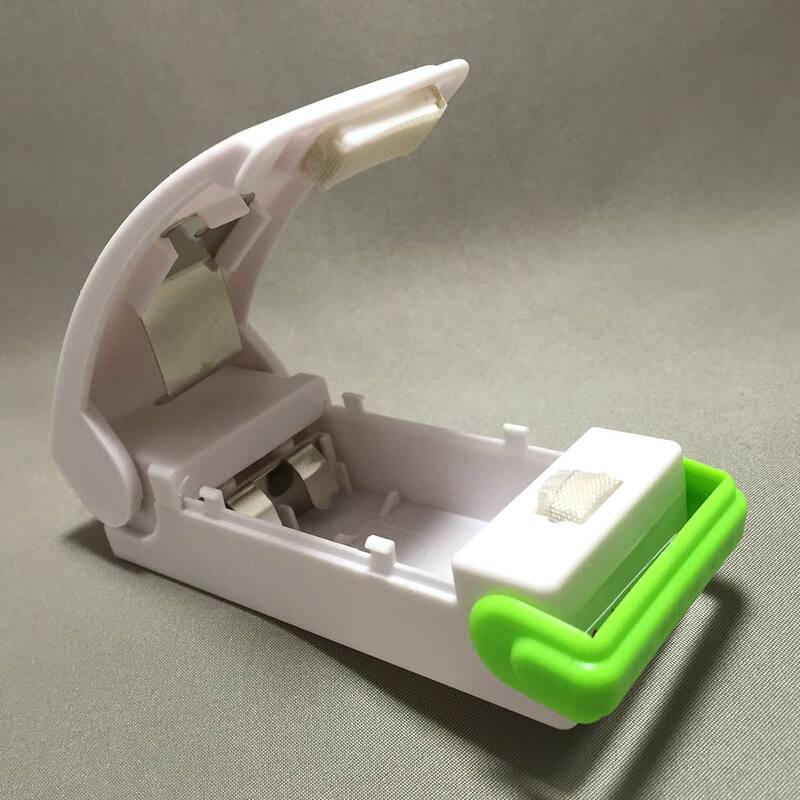 – Insert batteries properly, with the plus (+) and minus (–) terminals aligned correctly. 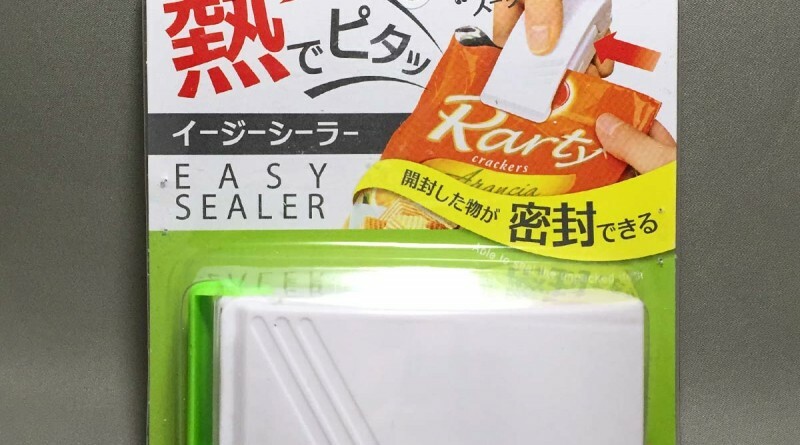 – Remove batteries if the Easy Sealer is not used for an extended period of time. – Do not short circuit or disassemble the battery and do not heat battery or place the battery in a fire. – If liquid leaking from a battery comes into contact with your eyes, immediately flush thoroughly with water and see a doctor. 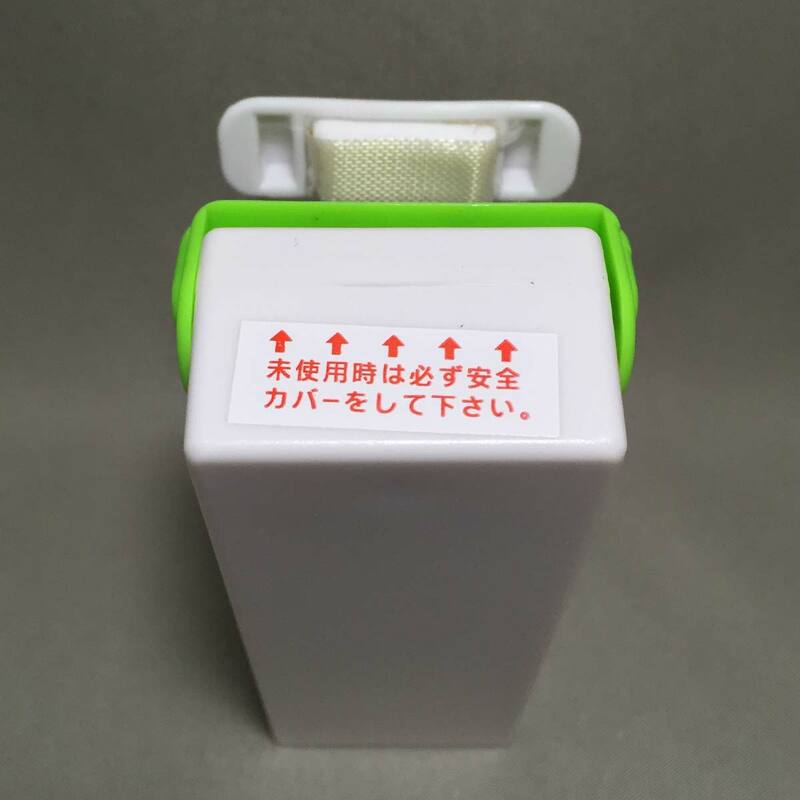 If the battery leaks and comes into contact with skin or clothes, wash the contact area with clean water. 1. Flip the safety cover down to reveal the heating element. 2. Hold the plastic bag and clamp the sealer for 3 seconds. 3. While clamping lightly on the sealer, slowly pull the bag through. 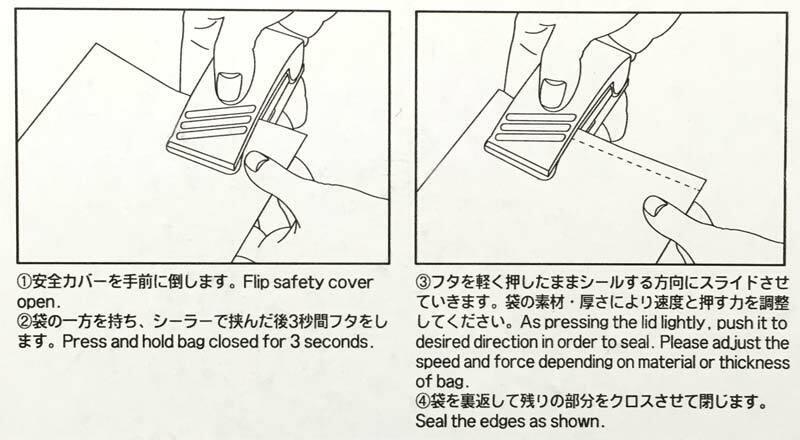 Depending on the thickness of the bag, the pulling speed and clamping force may need to be adjusted. – To avoid injuries, always remove the batteries prior to cleaning. – Do not use paint thinner for cleaning. – Clean the body and heating element with a damp cloth. 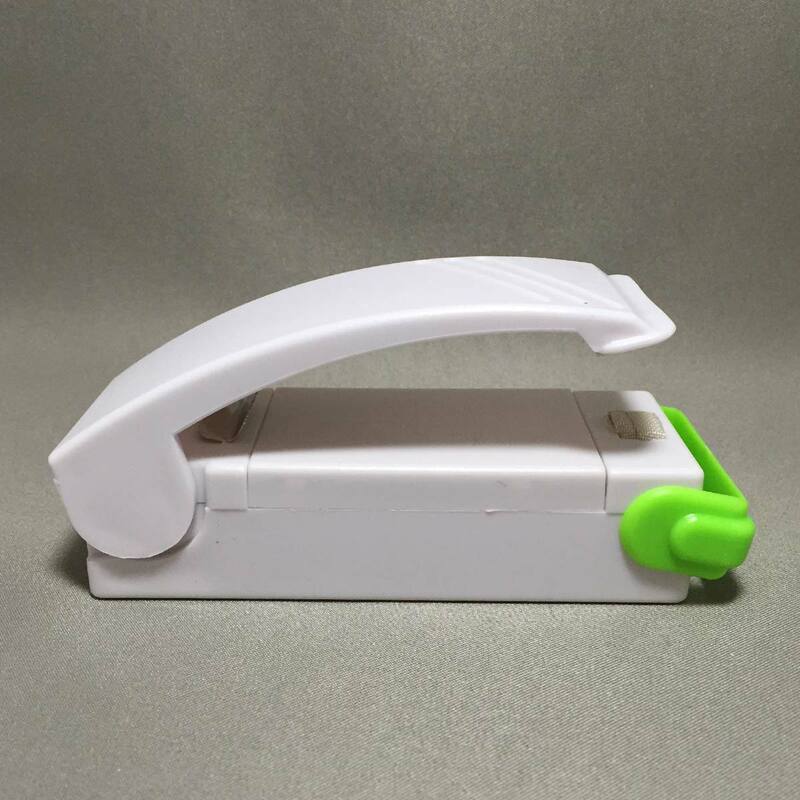 – This is a domestic bag sealer. Do not use for more than 1 minute. 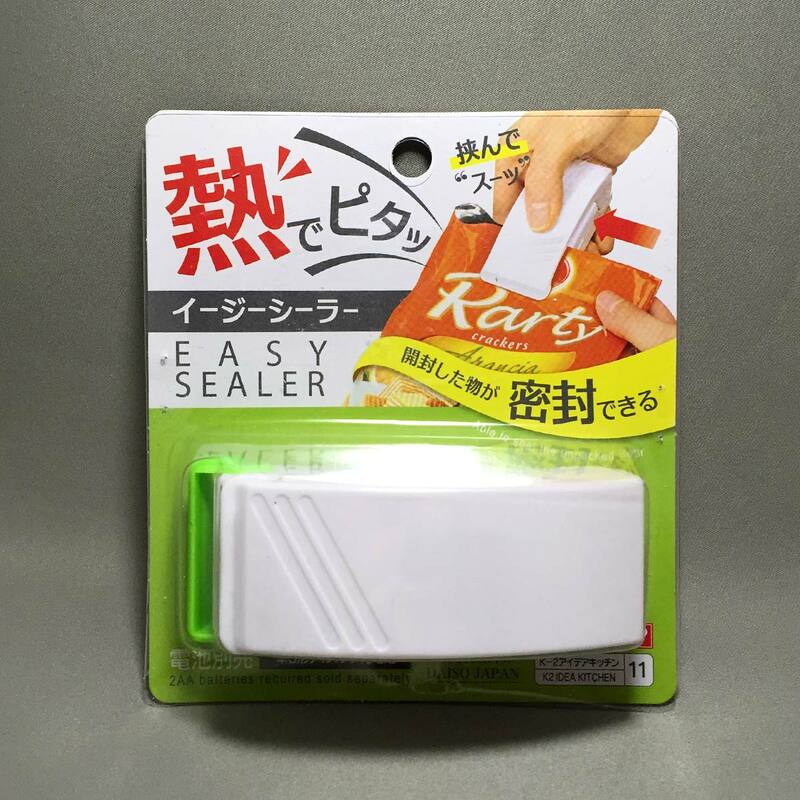 – If the sealer is used for 1 minute, wait for 5 minutes before using again. – Do not press on the heating element as it can cause burns. – Flip up the safety bar to cover the heating element to prevent injuries when not in use. 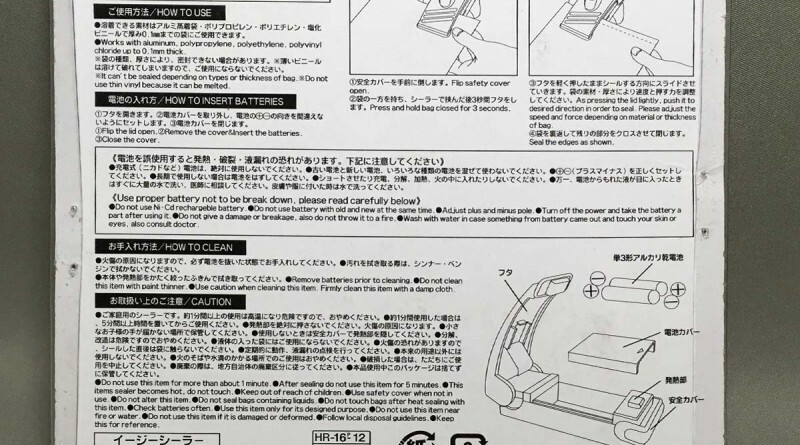 – Do not disassemble or modify the sealer. 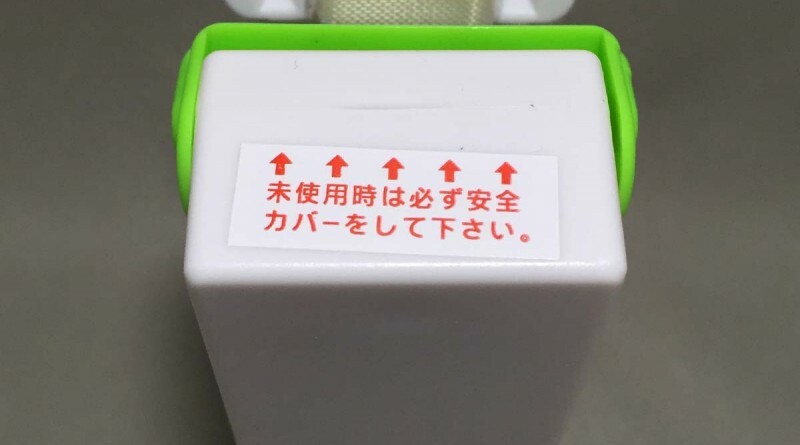 – Do not seal bags that carry liquids. 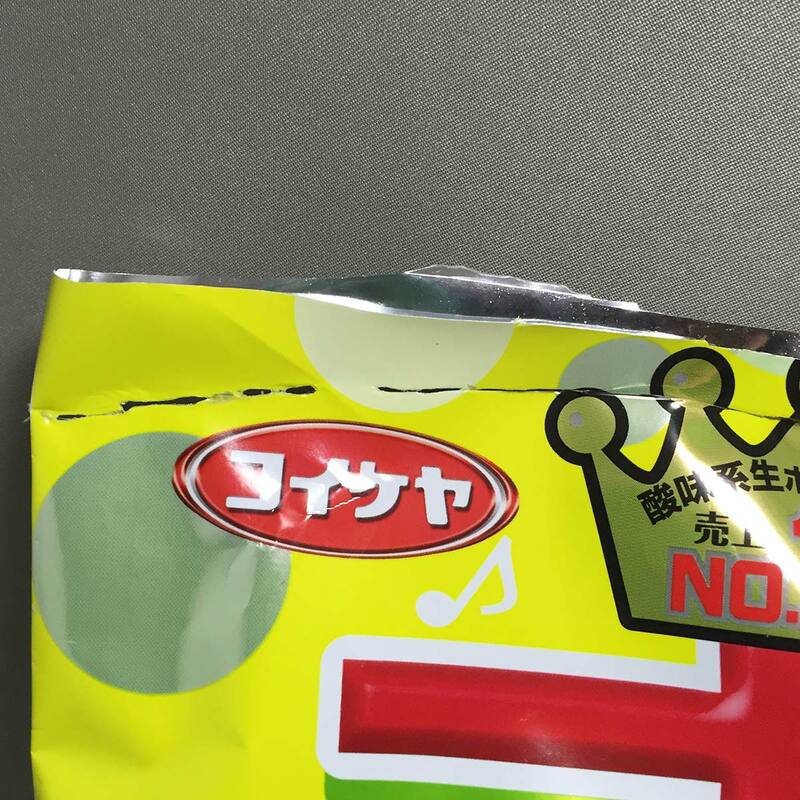 – Do not touch the sealed area immediately after sealing as the heat could cause burns. 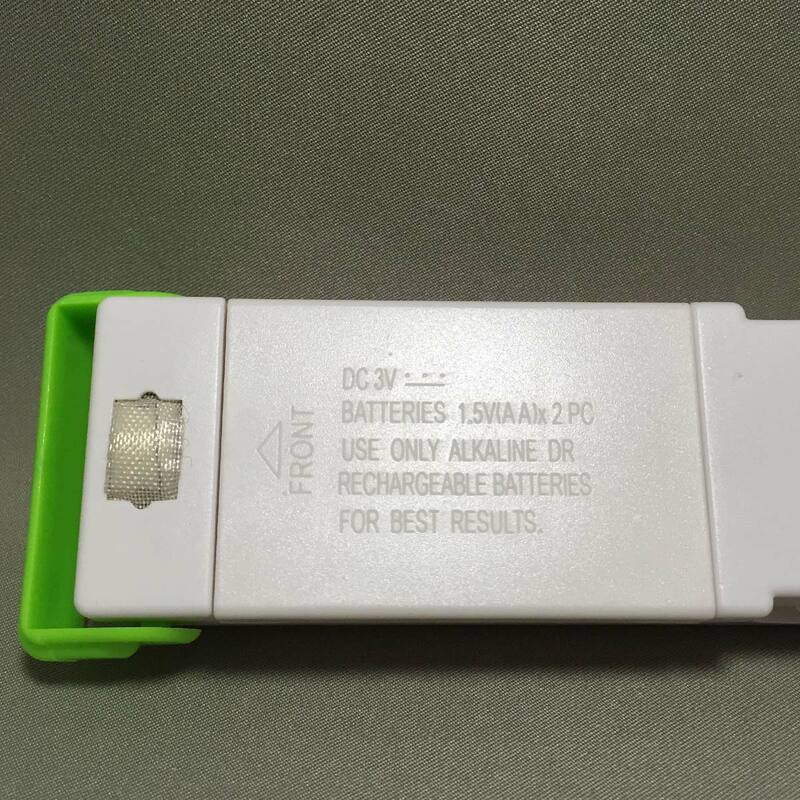 – Inspect and check on battery life and leakages regularly. – Do not use near fire or damp places. 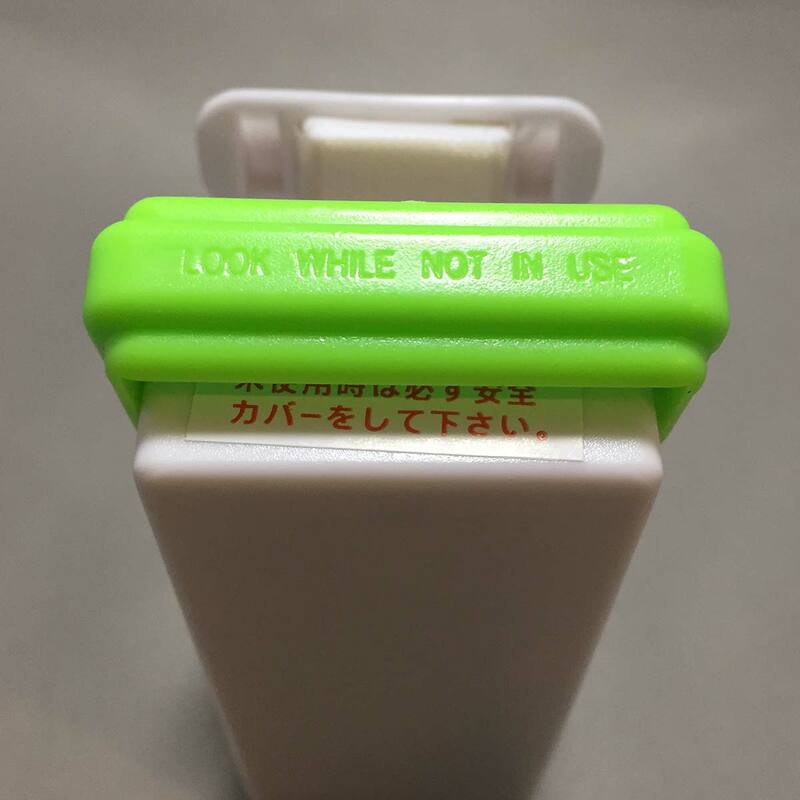 – Do not use if there are any damage to the sealer. 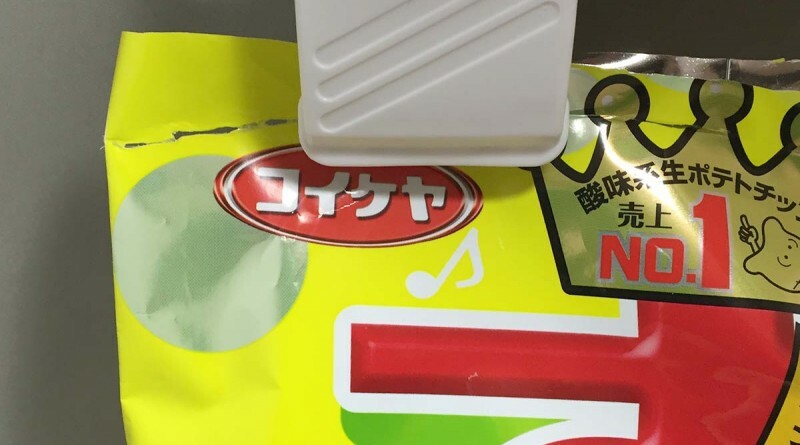 As we are dealing with a heat generating product, there are lots of caution and warnings all over the packaging. The sealer itself feels very flimsy, so I wasn’t confident how well it would work. 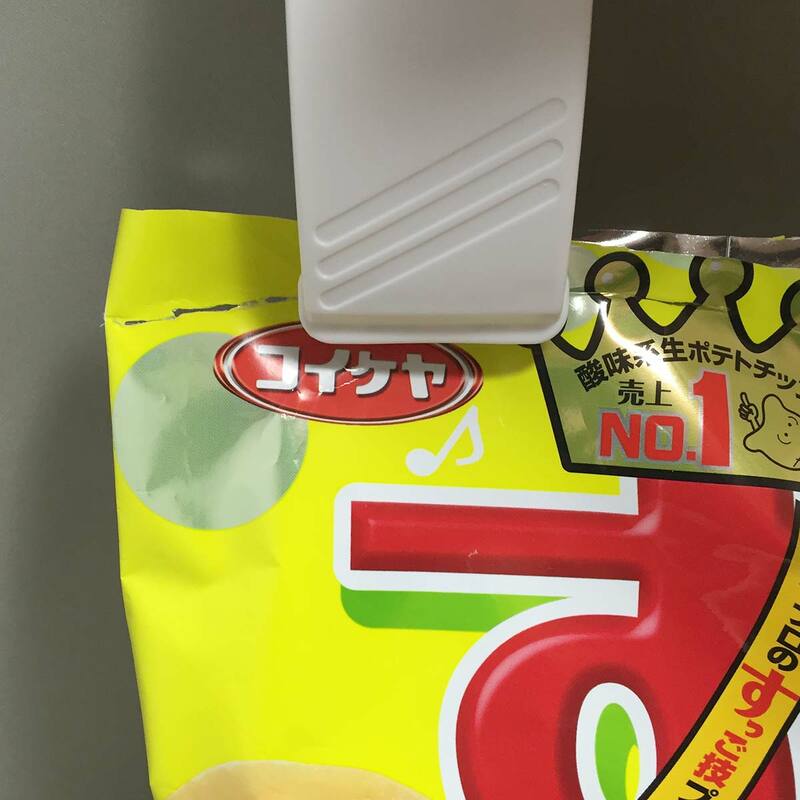 When I did try it, I was surprised as it melted through the crisp pack. 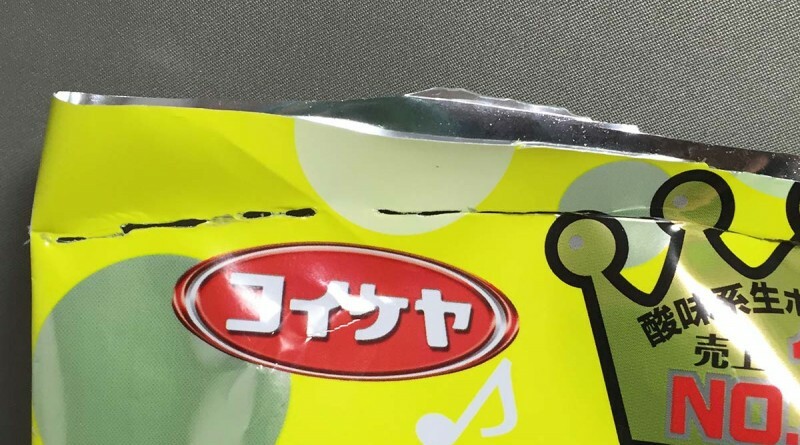 It did seal the bag, but in areas it melted right through. Maybe I need more practice. The green safety lock seems a bit flimsy also. 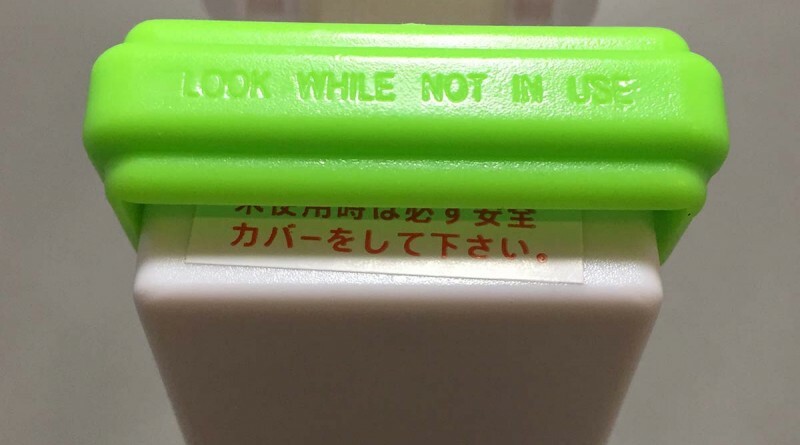 Also printed on the safety lock is a typo ‘LOOK WHILE NOT IN USE’. And the battery compartment is a bit stiff, removing the battery wasn’t easy. 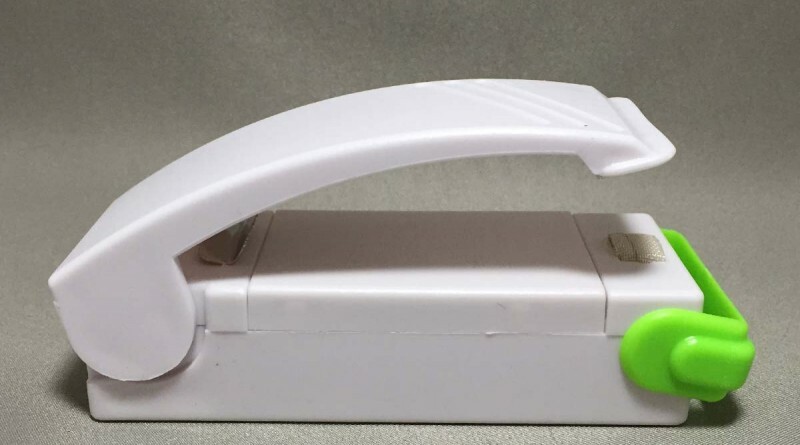 Maybe my wife will be better than I am with this device, but I think I will stick with old-fashioned clips.